For the longest time I can remember wanting to “break free”. To drop everything, and just “run”. Leave everything behind… Due to issues with my family and society, I struggled with myself. I figured, if I could escape, get out of the system, I would be fine… So I moved away. Then I moved even further away. Then I went to cycle through remote places for a long time… whilst every step I took helped me in learning more about myself – which is what living and experiencing life do more or less naturally most of the time – I did not manage to just leave my baggage behind. Your problems are within you, not a backpack you’re carrying in one place but not another. Running away may initially give you a feeling of empowerment. If you problems were mainly related to people around you, clearly out of sight out of mind. By running away you’re trying to numb some pain, but denial is not a long-term solution. Every problem is connected to our mind – memories, emotions, etc, and in one way or another they will creep up with you one day, and never let you go until you actually face them! 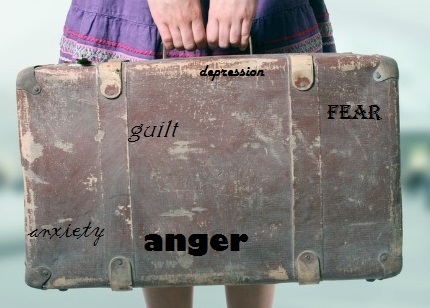 So open that baggage of yours, don’t just keep it locked under your bed and adding items to it. This entry was posted on 02/11/2016 by G in Psychological Issues and tagged baggage, escape problems, escaping problems, leaving stuff behind.